Indonesia made headlines this week after several large earthquakes hit the area of West Nusa Tenggara. These earthquakes, some reaching 7.0 on the Richter scale, caused widespread damage across Lombok and the three Gili Islands. Sadly, many lives have been lost and many changed forever. Homes, and businesses sustained damage or have been destroyed and our thoughts and prayers go out to those who have been affected. 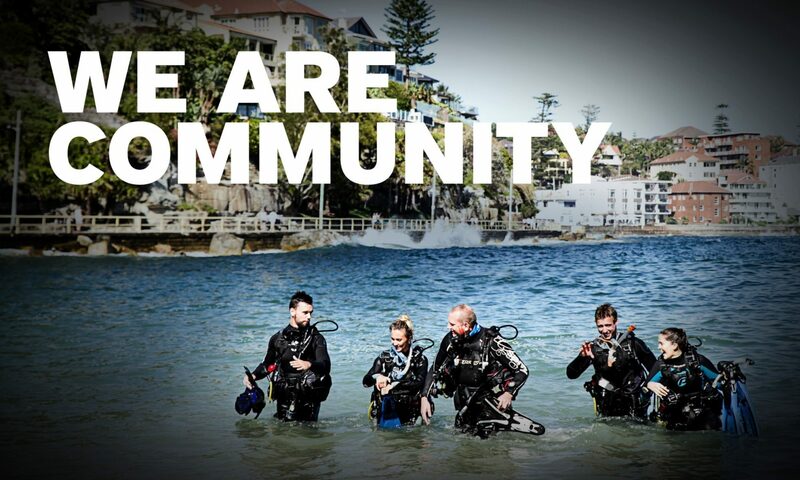 Since these events took place the dive community has rallied together to not only support each other but also look after the many tourists and locals who were left sleeping outdoors and trying to find news of their loved ones. Tourists were offered beds, food, water and comfort as everyone banded together as a community. PADI Asia Pacific and the regional team here in Indonesia are very happy to report that we have been able to contact nearly every one of our members affected and so far, all are safe. Since the earthquakes, PADI Dive Shops and other dive operators have been contacted by many incoming travellers to the affected areas about whether they can continue with their travel plans. So, here is an insight provided by PADI Members on the ground in the affected areas of Gili Trawangan, Gili Air, Gili Meno and Lombok. Many of the businesses in Lombok and the Gili Islands are temporarily closed. Although many businesses only suffered minor damage and could potentially re-open already, the Islands have been without power, internet, running water and basic essentials to run. The priority right now is to help the locals in the worst hit areas. Most of the local staff at the dive operations in this area come from the worst hit areas in Lombok. This will continue to be the core focus before businesses re-open and ask anyone to come back to work. “The immediate effect of the earthquake was horrific. Buildings had completely collapsed, people were injured and there was widespread panic that a tsunami was going to hit. Everyone was running to get to the top of the hill. The tsunami warning was removed quickly, but tremors carried on throughout the night, which was terrifying. Most people slept up on the hill and outside. The island was evacuated the next day and by the evening of the 7th, the island was completely deserted apart from the remaining few who wanted to stay to protect their businesses. With no power, very little communication and security concerns this was probably the worst night for those who stayed behind. Five days on and we are making amazing progress into restoring the island. An incredible team have rallied together to protect businesses, clean up, feed the horses and cats and keep things moving forward. They hope to have mains power by tomorrow. Others who have evacuated to Bali are now teaming up to provide urgent food, water and medical supplies for the people in Lombok who have lost their homes. Many of the dive shops are now pooling resources and working together as a team to make sure that all areas of Lombok are covered since there are hundreds of villages requiring urgent supplies. Donations are desperately needed to help with the immediate relief for hundreds of homeless people around Lombok”. “Dive centers, from all organizations, are working together with other businesses to give aid to the local community and maintain stability on the 3 Islands. During these days of the disaster we became a real community; helping and supporting each other. We were communicating not only on Gili Air but also with the other 2 islands and of course Lombok. All kinds of businesses have set up fund raising programs for their staff in Lombok. We are working all together to give the support where people need it. For now it’s food and blankets. I will never get use to the shock, or the earthquakes. The impact is massive. But because we are all together at night and seeing each other a lot during the day we know we are not alone”. Continue with your travel plans! Indonesia is made up of over 17,000 islands – 4 of these islands are not quite ready to accept tourism but the rest of them, including neighbouring Bali, Nusa Lembongan and Nusa Penida are business as usual. Bringing business to Indonesia is key to assist getting things back to normal and once businesses reopen they need customers to eat in the restaurants, people to sleep in the hotels and divers to go diving. You can also donate to any number of the organisations and individuals raising money on the ground here to buy food, bedding, clothing and provide drinking water. Many of the dive centre’s have set up Go Fund Me pages to raise much needed funds to buy supplies, clothing, bedding and building materials. If you are looking for alternative areas to dive within Indonesia check out the PADI Dive Shop Locator for an up to date list.